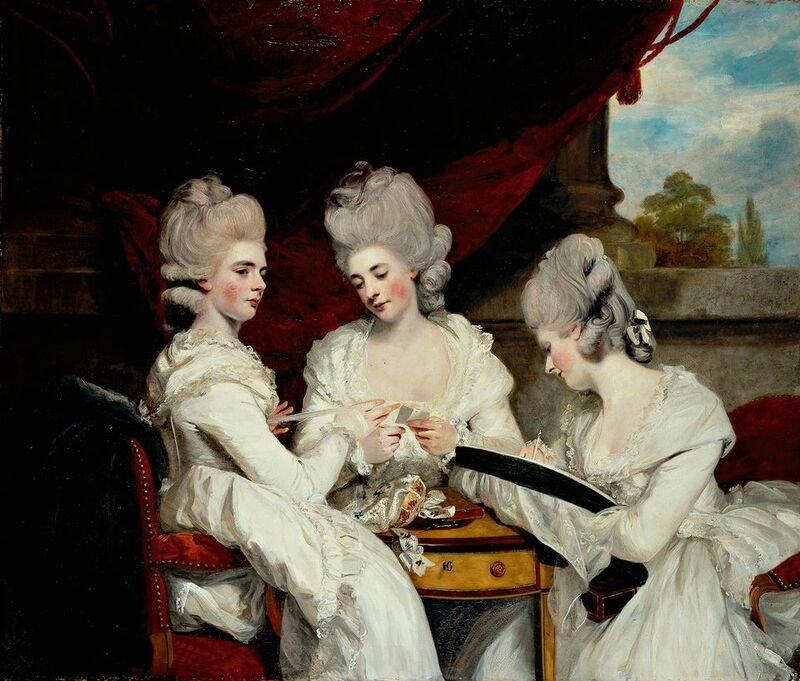 Portrait of the Ladies Waldegrave (1780-81) by Joshua Reynolds © National Galleries of Scotland. Edinburgh. 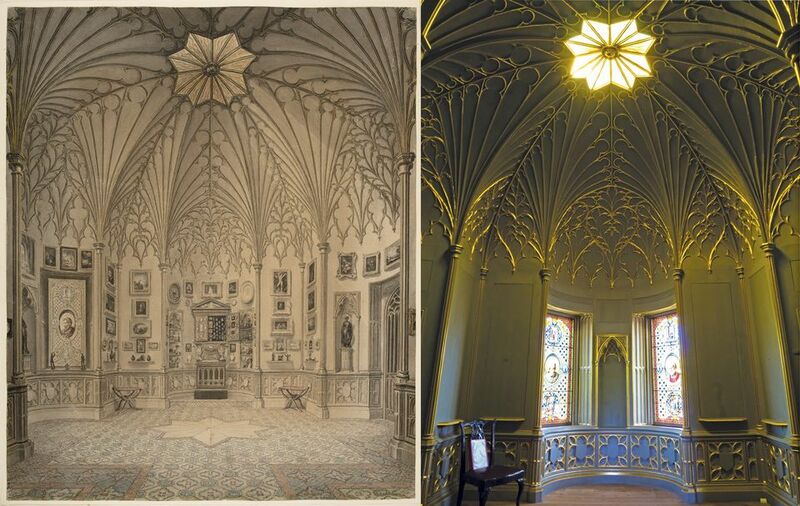 The word “lost” in the title of the forthcoming exhibition Lost Treasures of Strawberry Hill is slightly misleading. The show is a presentation of more than 200 works from Horace Walpole’s famous collection that have in fact been “found”. The story of this exhibition is about a successful (and ongoing) treasure hunt. A leading intellectual grandee of 18th-century Britain, Horace “the Magnificent” Walpole (1717-97), a son of Britain’s fabulously wealthy first prime minister, rented, then bought, Strawberry Hill in 1749. He rebuilt, extended and furnished his Thames-side Gothicised house as an emphatic statement of proto-Romantic Medieval architecture, ornaments, décor and “gloomthy” ambience. Filling the ogival-arched and fan-vaulted rooms with all manner of works of art and curiosities—antique marbles, stained glass, lamps and lanterns, Medieval and contemporary furniture, paintings, drawings, prints, illuminated manuscripts and exotic odds and ends—Walpole published in 1784 a room-by-room guide for visitors, which also aimed to propagate his taste and fame. Several artists made drawings of these rooms in detail, including sketches of the paintings on the walls. The house eventually passed to George Edward Waldegrave, who sold the villa and its contents in a 24-day-long auction in 1842, but each item was described in the catalogue and some connoisseurs noted the buyers, enabling later provenances to be established. 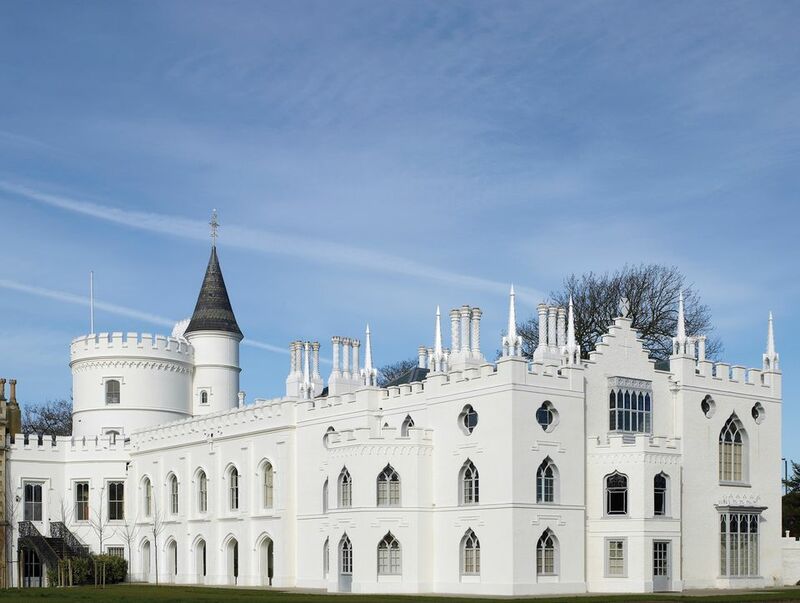 Strawberry Hill, from being a watershed in British taste, quickly faded from view and underwent a number of architectural transformations and adaptations. But in 2002, it was acquired by the Strawberry Hill Trust, and in 2007, the trust began the villa’s restoration, for which all the documentary and pictorial evidence has been invaluable in tracking down Walpole’s collection. To coincide with the opening of the house to the public in 2009, around 300 rediscovered original objects were displayed in an exhibition at the Yale Center for British Art, Connecticut, and later at the Victoria and Albert Museum in London. Now, Michael Snodin, the chairman of the trust, and Silvia Davoli, Strawberry Hill’s researcher, present another 200 recently discovered pieces of Walpoliana, displayed in their original positions in the house. As all of these items are on loan, this exhibition is truly a once-in-a-life-time event: to see the house as Walpole arranged it will be possible for only 18 weeks, a tiny fraction of the 50 years it took the so-called “prime minister of taste” to create his “little gothic castle”. The show is sponsored by the private investment office J. Stern and Co.